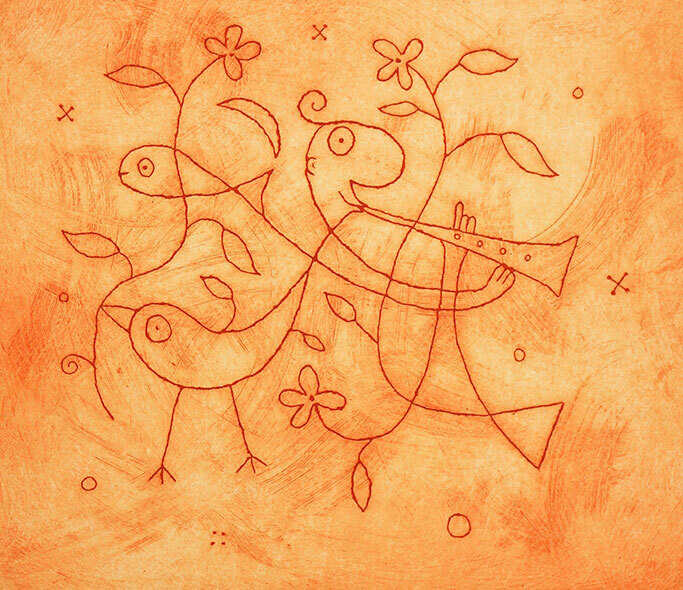 Michael Leunig Orange colour limited edition fine art handmade etching print titled Fanfare is limited to an edition of only 90 prints, the etching print Fanfare has an image size of 260mm high 300mm wide and is numbered in the lower left. The Michael Leunig signature on Fanfare appears on the lower right. The handmade etching print Fanfare is available at Etching House on lay by for up to 12 months on 20% deposit. Michael leunig Fanfare 2 is also available in Green colour.